I am total sucked into these materials like a cottonwool ball into a tornado. I made a window segment with blender (no "overlapping" when you see it from outside), for wall-BP-window and it works nice, but can you tell me please how to align them centered onto these small bars? Is there a magic option inside the blueprint, before i try to rearrange all origins? 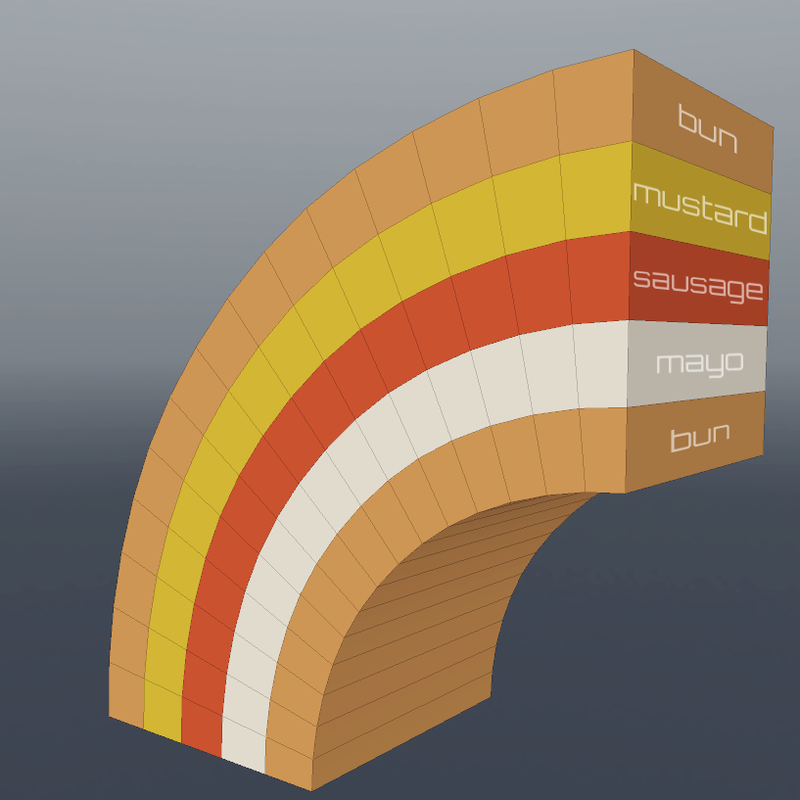 I've tried to depict this mesh as a hotdog, but failed miserably, I hope you won't mind! I've attached correct version for you to look at! Hello zeOrb! Supergrid has really changed & simplified the way i build rooms/levels/spaces in UE4. Its fantastic. Have you ever given any thought to releasing a pack that could apply the same ease of use of Supergrid, to the issue of 3D text in UE4. I know most people create their 3D text for menus and HUD's in other programs and then import them into UE4. I would love to see something on the Marketplace that could provide a collection of EASY to use/scale 3D text fonts, with cool materials, so i wouldn't have to make/import it from other programs. The reason i mention this here, is that you made working with GRIDS so easy & fun, i was wondering if you could apply some of that magic to 3D text, in UE4? Very nice and smart update. You asked about feedback and ratings. The feedbackthing i could do here. Yes i like it, how you handle your project/update. When you add more content, it is always good for your happy customers. With your Lobby and the feedbackhints you get more feedback and i bet more sells. Always good too have a smart presidente! On first load of a level I had no idea how to use it, just looked around the demo level, but thought it looked cool. Second load, I watched the video, and within 2 hours I had a likeness of my house, minus the roof, doors and windows. I'd tried this before using UE4 editor and spent much longer and just got frustrated by stretching textures etc (yes I am still a noob, tinkerer) and got nowhere, so I am excited by what I can do with this now. p.s. I couldn't work out how to update the package, and then I need to work out how to introduce new textures/materials(e.g. brick wall images on outside of house), doors that work etc. but happy at how much I got done in one evening. Fantastic product. Well worth the money spent already. Last edited by Loucsam; 05-19-2015, 09:26 AM. First of all - thanks for your kind words, it boost morale for developing like nothing more! Really appreciate it! News: SuperGrid website with additional learning materials and other useful information is coming later this week! Also, kudos to Marketplace team, I believe it was a little bit trickier to distribute due to custom UE4 build, but it was handled flawlessly. It's funny actually, I've never realized there is no built-in way to create 3d text. It sounds like useful and interesting idea to work with, but I'm not sure I will have enough time to create full fledged text pack in next month, however it definitely has my interest and I will try to address this at some point. I'm happy that you guys are enjoying this Lobby stuff! It was fun to create and it's cool that I could continue to develop SuperGrid in this direction, thanks! I believe feedback is crucial and it's much more interesting to create content with you rather than just doing random things that might work out and might not. I'm glad I helped you a bit with UE4. If there is a general procedure for changing or adding textures please let me know. If it is just a matter of grabbing other textures from other projects, and drop it in the folders, and it will all work seamlessly I should be able to figure that out, hopefully. Now that supergrid updated, how will my project with the older version get updated as well? Do you mean UE4 in general or SuperGrid? If UE4 then check out this playlist. 1-3 videos(They are really useful) should be enough to get started! In Material window hold T button and left click on grid. 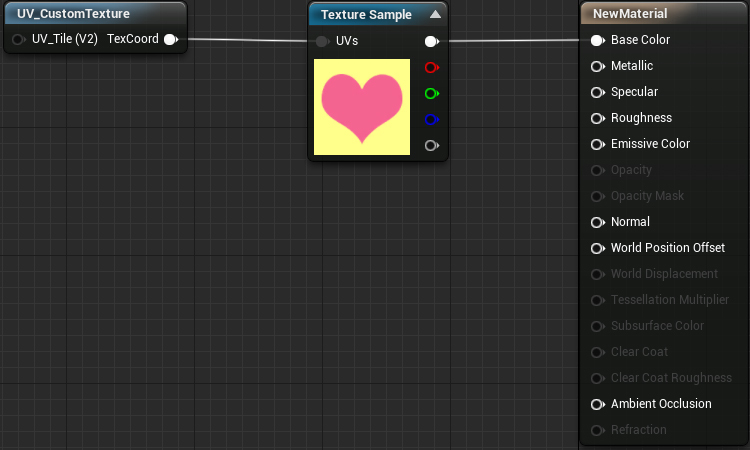 Right click on grid and type Sup to highlight SuperGrid nodes, then select "UV_CustomTexture"
Connect UV_CustomTexture output[Texcoord] with Texture Sample input[UV's] and then connect output of Texture Sample with Base color of your material. About updates - I think only default project has been updated, so you have to create project with new version to get all this stuff. If you want to update your existing SuperGrid project then just create new project with update and then migrate everything you want to existing project and agree to replace. Yup, no problem with that! Just select all meshes you want to export and then go to File->Export Selected and jobs done! Hm, I'm not sure I understand you properly, could you elaborate a little bit? p.s. Yes I meant within supergrid, and assumed it would be similar to UE4 generally. Last edited by Loucsam; 05-21-2015, 08:29 AM.